Last month, Alex Barrow's whole life imploded—partner, home, job, all gone in forty-eight hours. But sometimes when everything falls apart, better things appear almost like magic. Now, he's back in his Michigan hometown, finally opening the bakery he's always dreamed of. But the pleasure of opening day is nothing compared to the lonely and beautiful man who bewitches Alex before he even orders. I really enjoyed reading this one because Alex and Corbin were wonderfully written characters. 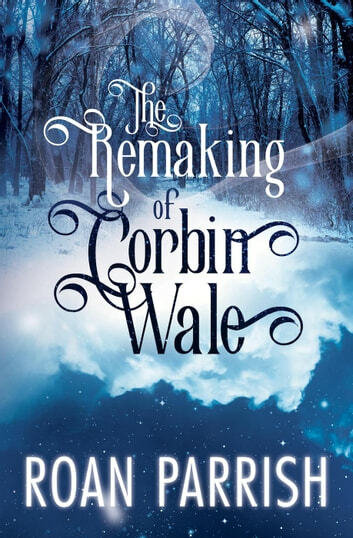 I don’t know quite how to classify this one because there were lots of magical elements surrounding Corbin but it was great either way; I loved Corbin’s imagination. There was a great slow burn and build up to Alex and Corbin’s relationship and it was the perfect fit to their personalities. I never would have believed Corbin would just jump into bed with someone, regardless of the curse, so I was happy that they waited. But even with that waiting there was still tons of chemistry and steam between these two. Every time they were together, the scenes would just wrap around my heart; Alex and Corbin were perfect for each other. I’ve always loved Roan Parrish’s characters and Alex and Corbin were just as enjoyable as the rest. Alex is strong, confident, and compassionate to anyone who needs it. He’s clearly a point of anchor for those in his life who aren’t as settled. I loved how much Alex supported Corbin and always believed in him. Corbin himself was very fascinating and though I didn’t always understand him and I loved reading about him. He might be “weird” and he’s certainly different then the average person but he’s also sweet and devoted to Alex. Corbin’s imagination is so rich and vivid and so much a part of him and it was great to see how Alex supported and treasured that imagination. I never really knew what to expect next from this book or from Corbin. Was it a contemporary romance or a fantasy? 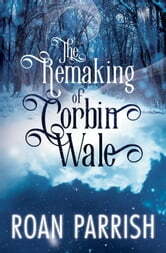 There was definitely a touch of the magical in how Corbin sees things and imagines things. Roan Parrish did an excellent job writing this one and weaving in all the elements to make a beautifully written love story. The scenes with Alex and Gareth were great and you can really feel how strong their friendship is. I also liked that Corbin was beginning to open up to Gareth as another person in his life. I think it’s important that Corbin’s “remaking” involve other people besides Alex because Corbin needs as many supportive people as possible; he deserves only the best.